Lignite is used as primary fuel; while diesel is used for start-up, flame stabilization, and low-load operations. 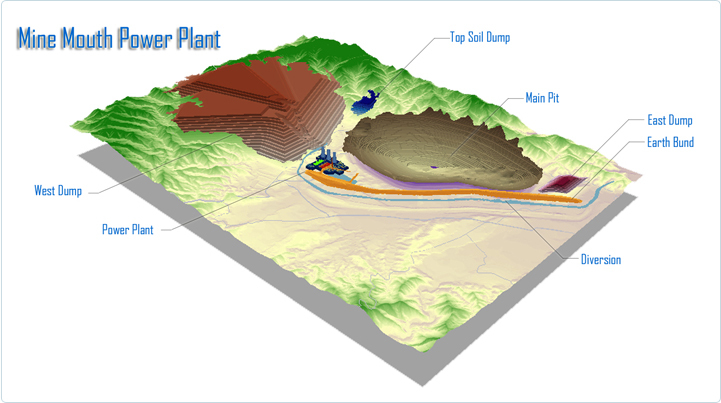 Lignite will be supplied from the Mine located adjacent to the Power Plant. 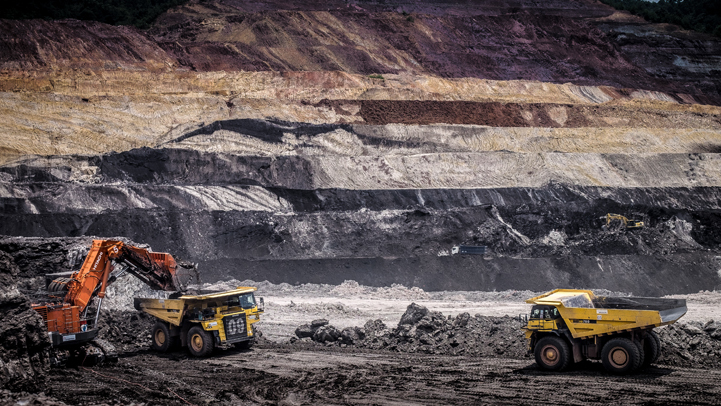 A geological lignite resource figure of 577.4 million tonnes has been delineated within the Hongsa deposit to a 350-meter depth below ground surface. While a total lignite reserve of 436.9 million tonnes has been estimated, HPC plans to excavate a proven lignite reserve of approximately 370.8 millon tonnes. To excavate the identified lignite reserve, 1,250 million bank cubic metres (BCM) of overburden and interburden have to be removed, resulting in an average stripping ratio of about 3.4:1 (BCM:t). Assuming an average annual lignite production of 14.3 million tonnes, the reserve of the Hongsa opencast mine would last for 26 years of operations. To secure the supply of lignite against any interruption to mining operations, lignite sufficient for 2 week’s operations is stockpiled at the stockyard, adjacent to the northeast of the Power Plant. The stockyard serves as not only a lignite supply buffer, but also a lignite quality blending ground. The lignite supply of the specified quality will be transported to the transfer tower behind the stockyard – the hand-off point between the Mine and the Power Plant – by the lignite reclaiming conveyor system with twin 100% duty conveyors.